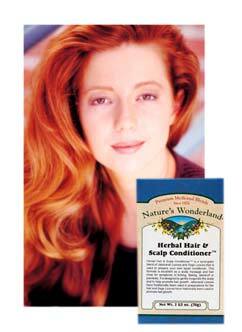 Herbal Hair and Scalp Conditioner™, 2 1/2 oz (Nature's Wonderland) - Penn Herb Co. Ltd.
Use this traditional blend of Jaborandi and Sage leaves to prepare your own chemical-free hair & scalp conditioner. Massage or spray into scalp to promote healthy hair growth and to relieve dandruff, itching, and other scalp concerns. SAGE…promotes hair growth, fights dandruff; also brings out dark highlights. JABORANDI…this Brazilian leaf stimulates the scalp and is a popular ingredient in herbal shampoo and hair care formulas. HINT: Add pure essential oils to enhance the therapeutic effects of our Hair & Scalp Conditioner™. Try a few drops of Patchouli for extra conditioning and Rosemary or Lavender for dandruff and itchy scalp. Promotes hair growth; use as an all-natural base for other homemade hair care recipes. For best results apply morning & evening 3-5 times weekly. FOR EXTERNAL USE ONLY. Pour 1 cup of boiling water over 2 teaspoonfuls of herb. Let stand until cool; strain. Apply to scalp with fingertips or spray applicator until hair is slightly moist. Massage scalp vigorously for about 1 minute, then comb or brush in place.